Do I really need breakdown cover? Home / Safer Driving / Featured Slider / Do I really need breakdown cover? If your car breaks down or doesn’t start it’s a right hassle. You could be late for work, and potentially left with a large bill for getting your car towed to a garage where it can be repaired. You might never have had a problem with your car before, so breakdown cover might sound like an unnecessary expense. But it’s all about peace of mind and potential cost savings. A large number of new cars already come with complimentary breakdown assistance so first of all it is important you check to make sure that you don’t already have cover. Remember that you can only claim off one policy at once, so if you already have cover then taking out another policy at the same time might not make sense. What is covered by breakdown cover? Exactly what is and isn’t covered by breakdown cover will depend on the policy you choose. There are different levels of cover available, with the most basic being the least expensive. This basic cover might be fine if you have a relatively new car that is generally reliable. Typically, the most basic breakdown cover will allow your car to be fixed at the roadside or towed to a local garage. It won’t usually provide cover if your car breaks down close to home or doesn’t start in the morning when you’re parked at home. The next level of cover usually includes the same as the basic policy with the addition of cover if your car won’t start at home. Often this is called home start. More expensive cover may also include onward transport to help you get to your destination or back home again if your car breaks down en route. It might also offer overnight accommodation and car hire. Premium breakdown cover often includes European breakdown cover for a certain number of days per year. If you regularly travel abroad this can be a good option. It’s also possible to obtain short-term European breakdown cover for the duration of your holiday. This cover often includes towing you to a nearby garage, providing overnight accommodation and/or onward travel so you can still enjoy your holiday even if your car has broken down. It may also cover getting you and your car back home for repairs to be carried out there. What is not covered by breakdown cover? It is not typical for breakdown cover to include the cost of repairs or parts. What you tend to get is the services of the breakdown mechanic for a certain amount of time. You’ll need to pay extra for any replacement parts or materials required to get your car going again. If your car is towed to a garage, you’ll then usually be liable to pay for the garage’s services including parts and labour. Many breakdown cover policies will come with a limit on how many call outs they will provide within a course of a year, and they will make a number of assumptions about your car including that it is well-maintained and roadworthy when you take out the cover. If you don’t look after your car properly, you may find that it’s not covered. Most breakdown providers will also normally cover cars up to 15 years old, so if your car’s older you probably won’t be able to get cover. How expensive is breakdown cover and is it worth it? Do I have to have breakdown cover? The short answer is – no. It’s not mandatory to have breakdown cover but it acts as a form of insurance and offers you peace of mind. If you break down being able to call someone who can come and get your car moving again or help you get home is a godsend. 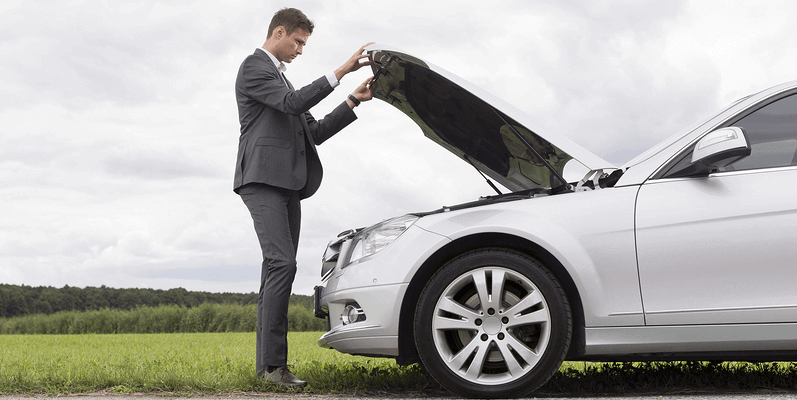 You might also be interested in reading our article about what to do if your car breaks down.